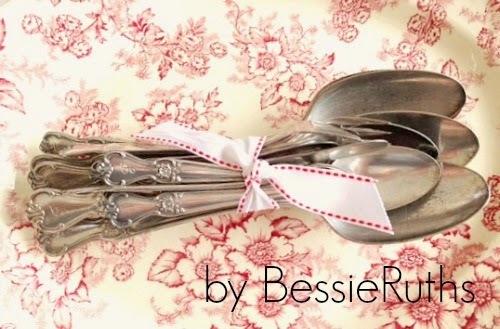 Set a perfect table this Easter using the original up-cycle: vintage goods! Floral plates, vintage silver, and playful decorations sweeten every celebration . Shop these Etsy stores, or shop local antique boutiques, to add whimsy to your spring festivities. The charm of vintage decorations is undeniable and sparks the imagination of young and old alike! This wee rabbit, dressed in her paper finery, is available at IndustrialBlonde. Easter is the perfect time to bring the spring dishes out of hibernation. 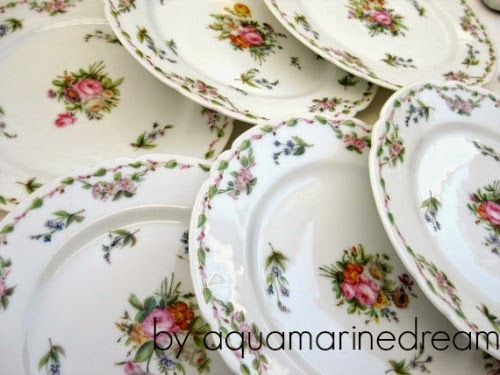 Say farewell to winter with these antique Dresden plates available at aquamarinedream. 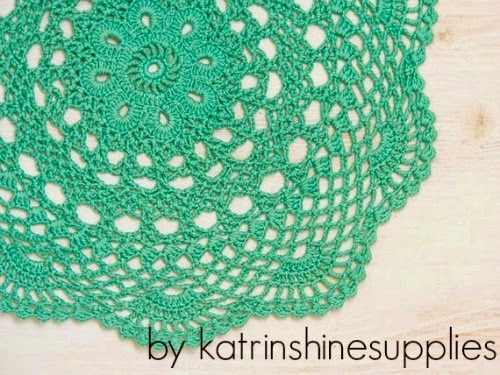 Add Easter hues to the table with these aqua flower shaped doilies from katrinshinesupplies. Splashes of colorful crochet look well-placed under clear glass serving bowls. This Etsy artist hand-dyes vintage doilies to restore their handmade magic. This bronze bunny is not vintage but is destined to be a treasured heirloom! 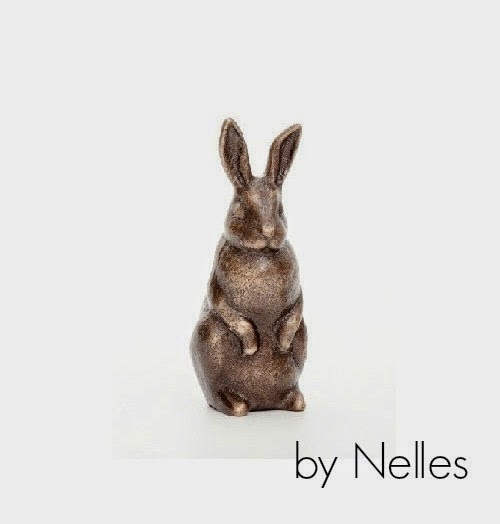 Scott Nelles hand crafted this wee hare perfect for keeping watch at the dessert table. He is so tiny, no one will notice if he nibbles a little. Visit this artist's Etsy shop and be prepared to be amazed! 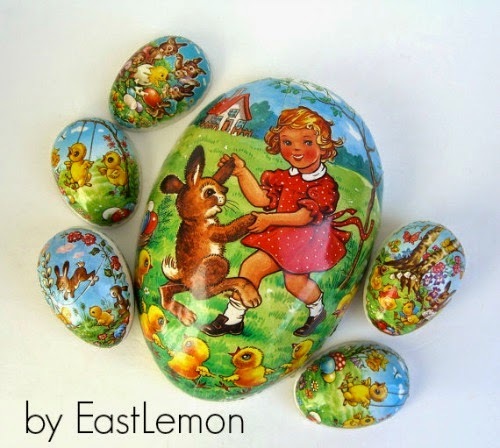 Vintage paper eggs can be reused year after year to hide sweet treats! Grab this playful set at EastLemon and let the egg hunt begin! 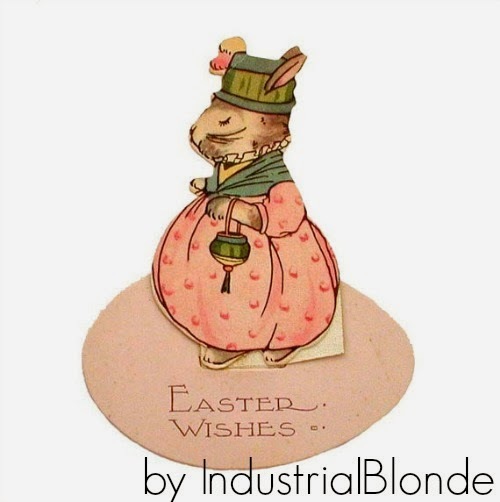 To shop more fabulous Easter vintage goods search vintage rabbit on Etsy.